GET 10% OFF! - Use Promo Code: PARTY10 on any order of $75 or more! 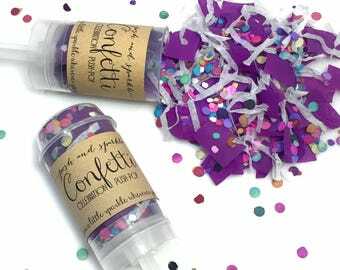 - These confetti push-pops are a beautiful way to celebrate any occasion! 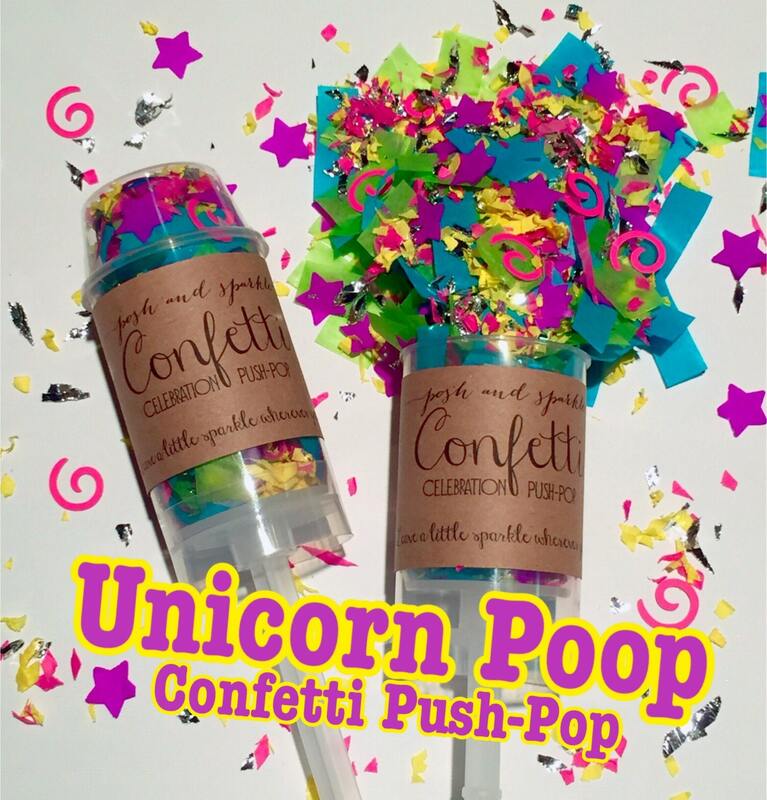 The Unicorn Poop Push-Pop will add a little sparkle to any event and will pop in a unique and fun activity for all to enjoy! 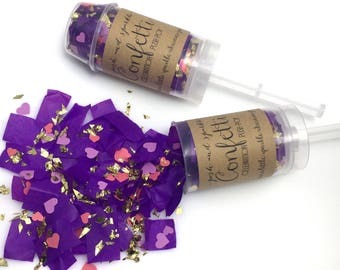 - The confetti mix is made up of purple tissue stars, bright pink paper swirl cut-outs, bright yellow and magenta pink confetti paper shred pieces, bright blue and green tissue rectangles, and silver foil pieces. - This mix is a bright and festive combination that really pops! 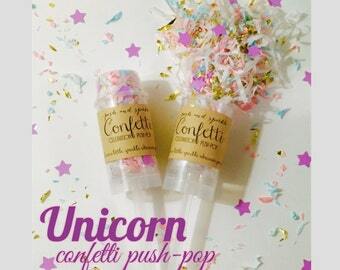 - This push=pop has our traditional celebration push-pop label which reads: "Confetti, Celebration Push-Pop, Leave a little sparkle wherever you go!" 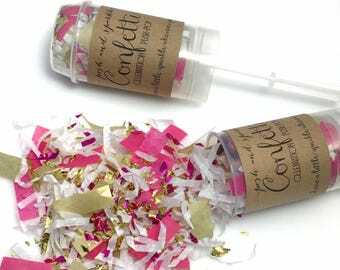 - For custom theme/color confetti, please contact us for a custom order and will be happy to make the perfect push-pop for your event!